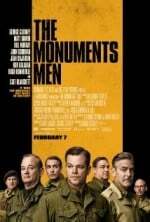 Business Strategies from MONUMENTS MEN Movie Review - Brilliant Breakthroughs, Inc.
Business Strategies via watching movies… Does it get any better than this? faith, the arts, & preservation? This is a great week of honoring many virtues: freedom, sovereignty, ideals, culture, faith, creativity, liberation, and innovation. To my dear friends and clients in Canada, Happy belated Canada Day and to our fellow Americans, Happy upcoming Independence Day! May God Bless All, everywhere 🙂 I chose this movie because it’s about a circumstance which occurred during World War II. I believe it is a fine example for us to remember tradition to further the awareness of future generations AND apply a couple good business strategies into our businesses. This was a start-studded cast and real story. A special team of art historians, curators, and museum directors (maybe even an architect) are commissioned by President FDR. This unique mission of non-military men is to retrieve the stolen art Hitler has stolen. Hitler attempted to diminish other countries’ historical and cultural history and treasures by stealing them. This was a really great movie! The characters were passionate about their relationships, the art, and the mission to retrieve some of the greatest piece of art in history! My husband and I were really into the movie and it sparked all kinds of thought provoking conversation regarding culture, war tactics, psychology, art, and history. I’m not going to spoil the plot for you… but I suggest you watch until just before the credits start, there’s an amazing scene that reveals the significance of this mission. From the very opening scene this movie exhibits faith in many manners. From the art community impressing upon FDR the significance of art to the Monuments Men battling their military opponents to “beat the clock”. This squad had faith to accomplish their mission. Strategy #1 Faith: Do you have enough faith to keep you progressing through the illusory impossibility of what you are trying to accomplish? You are probably answering with a “Yes and No”. This is common. Why did this request become a military mission? Essentially, FDR valued art. Perhaps if there would’ve been another president in the office, this may not have occurred. Art… what’s its significance? If you ask 10 people, you will probably get 10 different answers since art and the beauty of it truly is in the eye of the beholder! The arts are a representation of our creativity. The arts express how we perceive the world. Art, in all its forms, allows us to connect with one another and more importantly ourselves. Why is preservation important? It helps us remember significant things, people, concepts, or events. Art preservation is critical to keep us connected to our past. Doubt me, your family probably works diligently to preserve certain belongings of previous generations. Do you put dishes that were your grandmother’s in the dishwasher? Probably not? Preservation matters because it keeps us connected to the past and teaches appreciation. 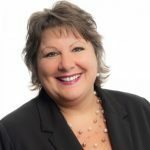 Strategy #3 Preservation: What have you preserved for or from your and your business’s past? Let’s make a quick list: anything that provides credentials (paper napkins with drawings or phrases on it, diplomas, certifications, licenses, documents to authenticate your business’s identity, payroll, your first dollar, first advertisement, project timelines, board meeting minutes, tax filings, photos of milestones, your first offering, time cards, or even prototypes). Hopefully that’s enough to reveal that many business strategies are probably applied in your business already! What other items should you preserve? If you need assistance on any of these business strategies or something else to help your business shine, please contact me. I’d be happy to learn if I can help you or refer to another who is capable of resolving your needs!